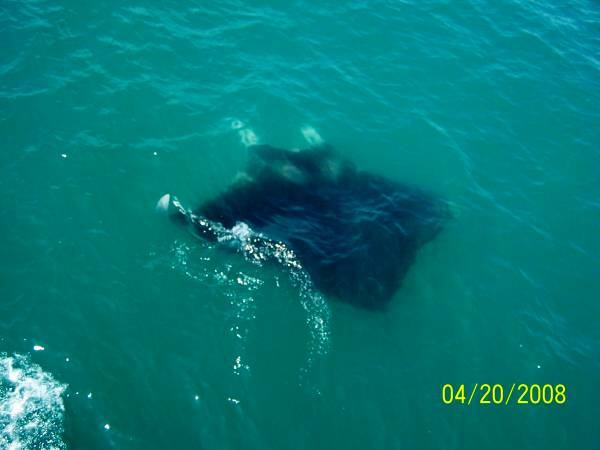 Went in to the beach and found numerous manta rays many with cobia trailing them. Caught these 4 in a little over an hour fishing. Great time!! PreviousPrevious post:Sharks everywhere!! !NextNext post:Great deal!!! 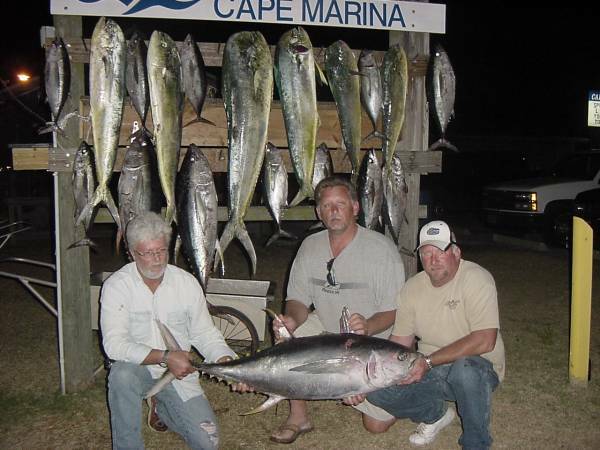 Yellowfin Tuna Discount Trips…Two Days!! Great deal!!! Yellowfin Tuna Discount Trips…Two Days!! 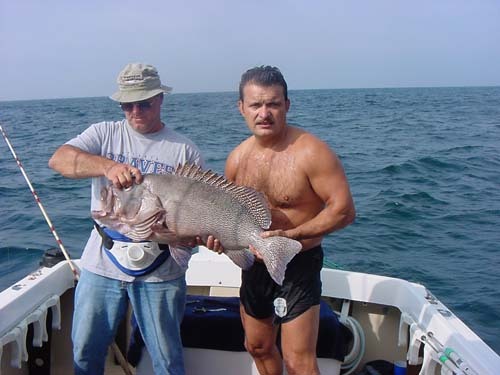 Deep Sea Fishing & Offshore Charters in Cocoa Beach, Cape Canaveral, Port Canaveral , or Central Florida. We Catch the Most Fish! Thank you SO much for an amazing day trip last week (June 24th). My father in law and I had an absolute blast!! I know you said it wasn’t the best day due to the current, but it was hands down one of the best days of the entire vacation. We could hear all day long how tough the fishing was on the radio. You put us on the bait faster than any other boat out there and you put us on the fish (and MORE fish) than any other boat out there. Your first mate, Sebastian, was awesome and made the experience what it was. If you ever get up here to northwest Arkansas and want to do some crappie or striper fishing when they are on let me know! I would like to thank you for the fishing trip of a life time. I have fished all over the world and this fishing trip with you and my two sons on 23 Aug 2012 will go down as the best ever!!! Not only did you put us on large fish but what a variety. We caught red snapper, warsaw grouper, wahoo, king mackerel, sharks, vermillion snapper, black sea bass and trigger fish. Just catching the bait was a great time!! You and deck hand “Matt” were great. You are a true professionals. I have already spread the word about our great trip with you. Again, thank you and I hope to go out with you again next year when I’m down your way. Thanks again for an awesome fishing trip!!!! Boat was sweet and Daniel was amazing! I’ve been on about 10 professional charters from St Lucia to Mexico and he was by far the best I’ve seen. He was crazy fast and jumping in the water with no hesitation or complaining was impressive to say the least. You guys have a great thing and I’m sure your business will reflect that. I will send some pics your way as soon as I get them all together. Thanks again! And I will be booking another trip with you in the near future! 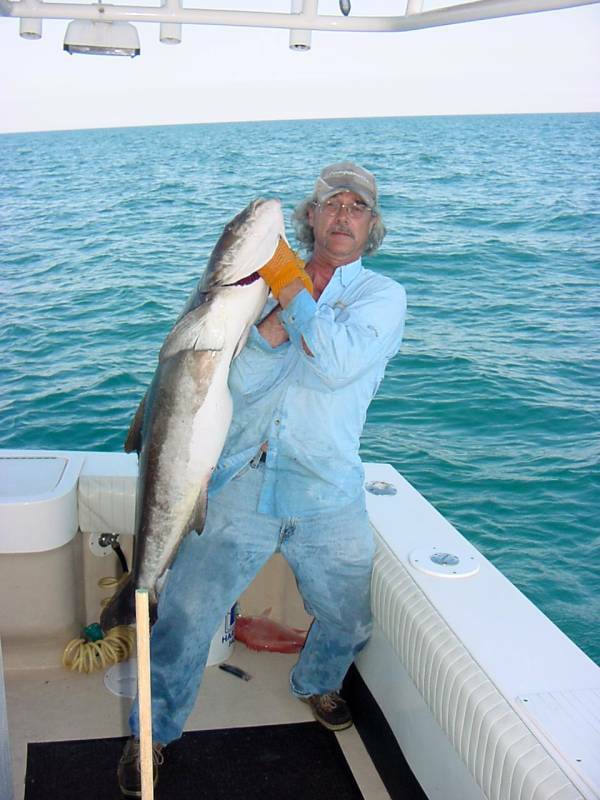 PS Any tips on cooking Cobia, Kingfish, and Amberjack as far as flavor would be great:). Thanks again!